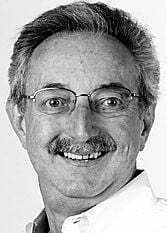 Robert Bruce Kaufman, 64, of Kenosha, passed away peacefully on Wednesday, July 25, 2012, with his very dear family at his side, after a courageous battle with Adenocarcinoma pancreatic cancer. Funeral services for Bob will be held on Monday, July 30, 2012, at 10 a.m. at the Piasecki-Althaus Funeral Home. Private inurnment will be held in Sunset Ridge Memorial Park. A visitation will be held at the funeral home on Sunday, July 29, from 2 p.m. until 5 p.m. and on Monday from 9 a.m. until the time of the service. Memorial remembrances to Kenosha Christmas Charities, c/o The Kenosha News, 5800 7th Ave., Kenosha, WI 53140; Women & Children's Horizons, 2525 63rd St., Kenosha, WI 53140; Shalom Center, 1713 62nd St., Kenosha, WI 53143 or Hospice Alliance, Inc., 10220 Prairie Ridge Blvd., Pleasant Prairie, WI 53158, would be appreciated. Bob's family would like to extend a special thank you to his doctors, the staff of Hospice Alliance, Inc. and Father Todd Belardi of St. Mary's Catholic Church for the kind and compassionate care they gave Bob. God bless everyone for their love and support.